A simple yet classic t-shirt look, but with performance material that won’t hold the sweat and oder after a bike ride around town. The first time I tried this shirt on, I was immediately impressed by the way it felt. It seemed light, but ultra durable. It didn’t clean to my body, but hung like a t-shirt is supposed to. This is due to their “long tradition of blending athletic performance and style”. You can definitely feel the performance fabrics while still sporting a leisurely yet stylish look. Just what you would expect in a workshirt (but with a touch of Chrome style). 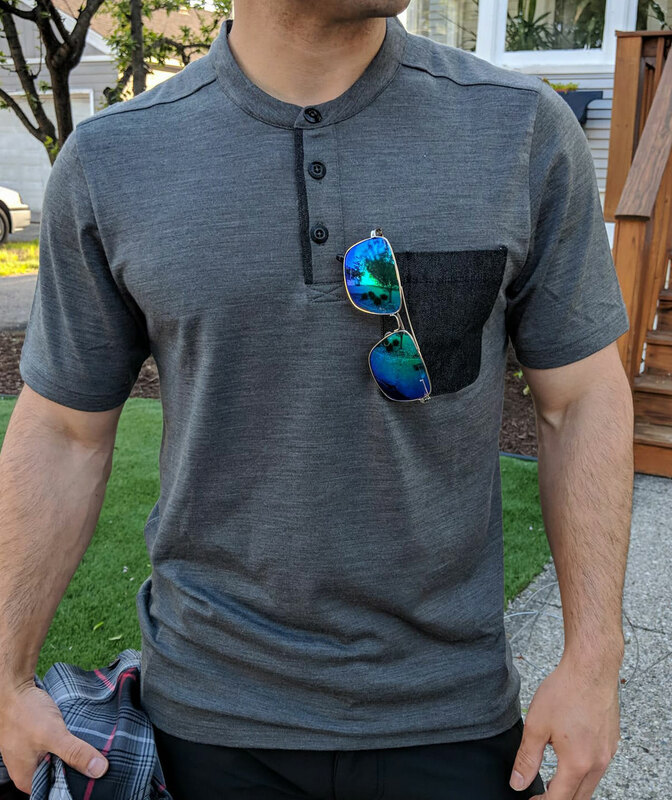 You can definitely feel how well constructed this shirt is when you put it on. The Triple-needle stitching gives it a solid feel and the Melamine buttons are “virtually unbreakable” (although we haven’t actually tried to hulk-smash them). What I love about both shirts I’ve reviewed in this collection is that there is minimal shrinkage after washing. So when you order the perfect fit, it stays the perfect fit. Packable indeed! This thing rolls up small enough to shove in your large pocket or any bag. Perfect for the rainy and windy days. 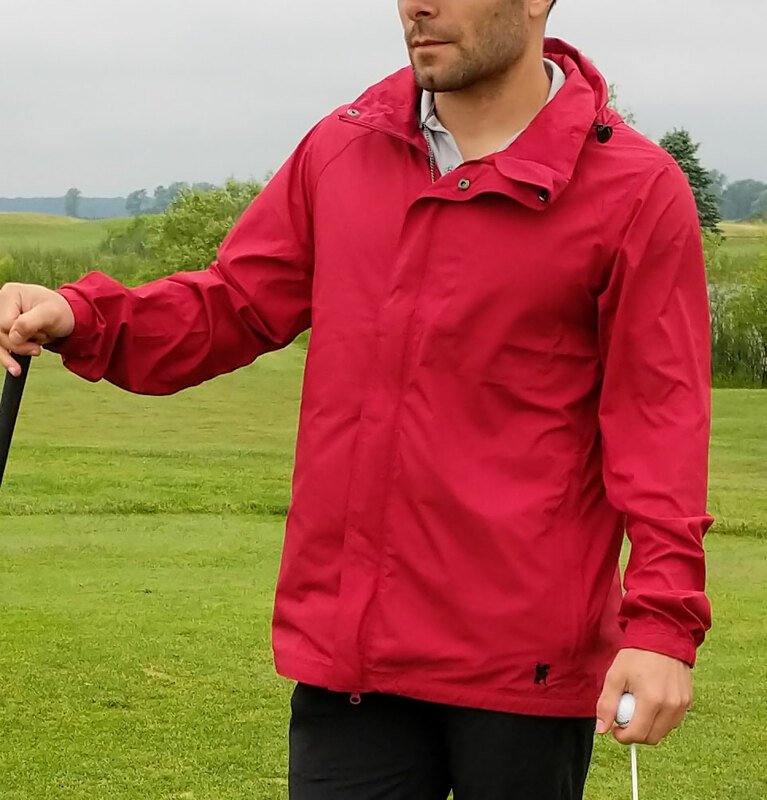 I found this to be the perfect jacket to bring along on those questionable golf days where the weather could take a turn at any minute. 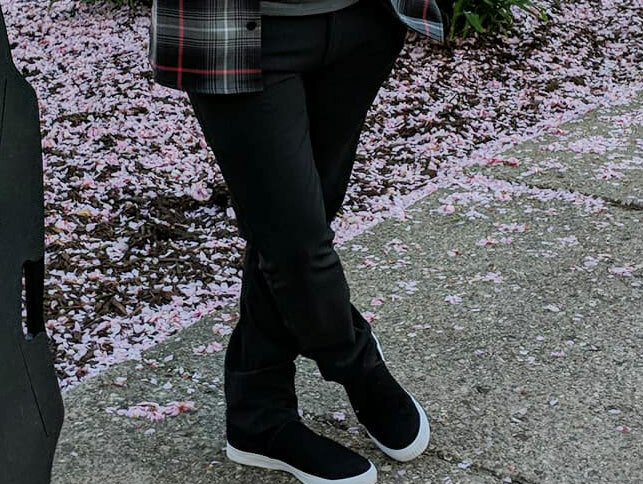 I love how lightweight this jacket is and the range of mobility. There was no restriction on range of motion while swinging my clubs on the course or riding my bike around town. Stashing it away in my golf bag was a great idea since it did rain off and on throughout our outing. Packing it into my smaller pocket in my golf bag didn’t create any wrinkles and kept me dry throughout the day. Love this jacket! If there were a pair of pants to complement the Packable Wind Cobra Jacket, it would be the Brannan Pant! Like the Cobra Jacket, these pants are water-resistant and light weight. Since they typically fit a little snug, the flexible 4-way stretch Everest Fabric material make for a super comfy fit. There is a ventilated, reinforced crotch gusset for airing out the boys as well as reflective inseam for cuff visibility. I also wear these on those brisk morning bike rides to work and also found these to be great golfing pants as well. The flexibility I got with the articulated knees and resistant to water made these my go-to golf pants! New look and improved construction from the original Dima sneaker. The Dima 2.0 has a sleeker look compared to the original (I wasn’t a fan of the toe line on the Dima 1.0) and I’m glad they re-designed the look a bit. Besides the more streamlined look, the comfort is still there, but unfortunately there is a size difference. Not sure why these are sized different from their predecessors, but they run a half to whole size bigger. They fit just fine with a pair of socks on, but are a tad loose without socks. So depending how you plan to wear these sneakers, you’ll want to order knowing that they do run big. 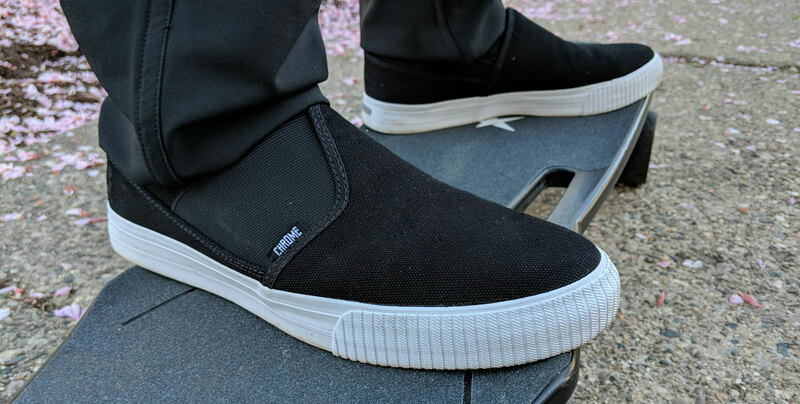 The main idea of a “performance-focused slip-on” shoe is still there, but they did add the “Chrome PowerPlate™ shank” for some added power on the pedals and “vulcanized rubber soles” to stand up against walking the tough streets. Overall, I feel like there is an improvement from the Dima 1.0, but wish the size would stay true to what I would normally order. 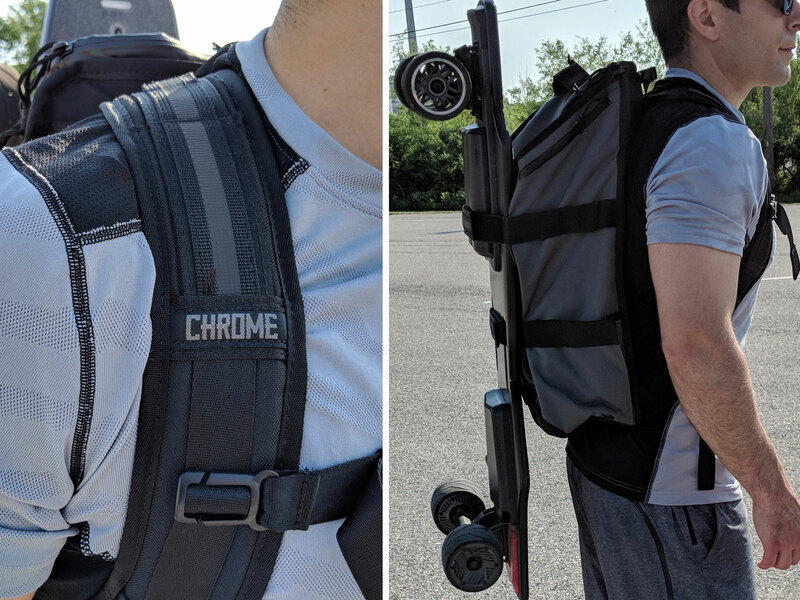 The Brigade backpack has all the great features I’ve seen in the majority of Chrome bags. I guess that’s why they call it the “Swiss Army Knife of bags”. It’s rated as an all-season bike commuter pack with its waterproof zippers and tough nylon exterior. It has the foam back panel with breathability on those warm days as well as some comfy ergonomic shoulder straps and sternum strap to help for a more stabilized load when peddling hard. There is ample room inside as well as a padded sleeve that will fit any tablet or laptop up to 15″. 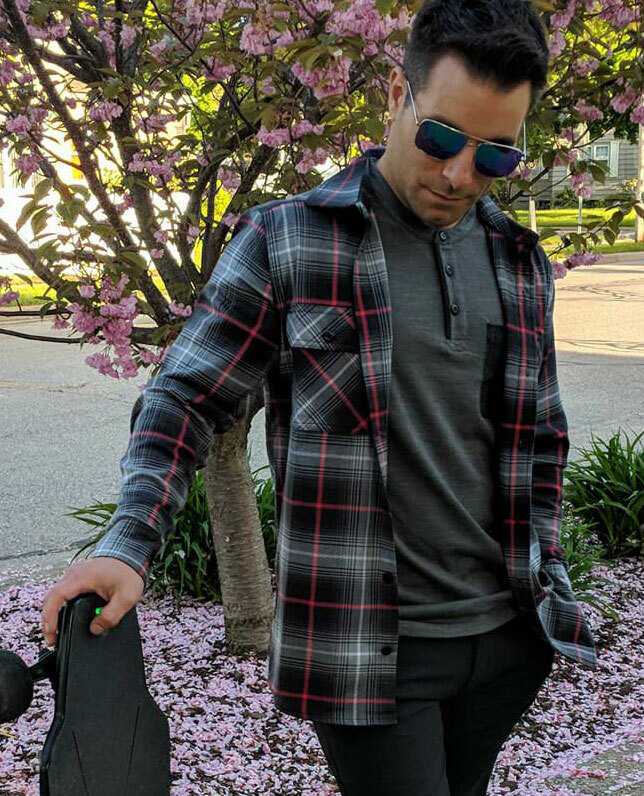 There’s also a front pocket that’ll fit a pair of shoes or other similar sized items and messenger-style straps that’ll secure a skateboard, camera tripod, or whatever else you need to carry with you. I dig the side pocket for a water bottle, but wish they were a little deeper for those tall bottles. All in all, the Brigade backpack is one of my favorites from Chrome for style, storage space, versatility, durability, and practicality. Chrome does it again with their 2018 Collection. Style -> Check, Comfort -> Check, Durability -> Check. Can't go wrong with any of these items.